The Empress Has No Talent: Does ‘Florence Foster Jenkins’ Defend Wealthy Privilege? There’s an old joke about the difference that money makes for people suffering from mental illness. Most mentally ill people are just referred to as “crazy.” The ones with money, though, are tagged as “eccentric.” Very few statements have more clearly defined the advantages that wealth bestows upon those who have it. Until, that is, the release earlier this month of Florence Foster Jenkins. It’s a dialed-in, feel-good period piece in which almost all the main characters bend over backwards to protect the fragile delusions of one extremely eccentric woman. The titular heroine is based on a real-life music-loving socialite (1868–1944). Born to money, Jenkins spent decades and a good portion of her inheritance on singing lessons that proved spectacularly unsuccessful. Infamously tone-deaf, the caterwauling Jenkins was a truly talentless phenomenon, butchering Mozart to Strauss. Nevertheless, Jenkins performed at several concerts, including Carnegie Hall. She even recorded an album that became a brief novelty hit. Her insistence on performing anyway, with a kind of child-like enthusiasm wrapped up in baroque outfits of her own invention, not surprisingly made her something of a cult oddity. How much of her audience was made up of genuine well-wishers, instead of rubberneckers looking for a freak show, is difficult to quantify now. 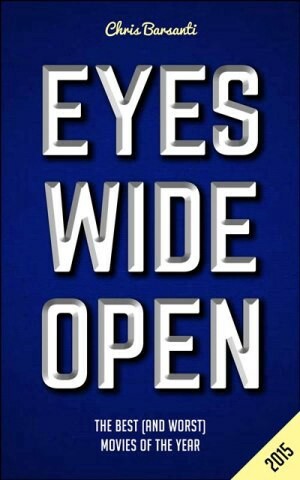 It’s not hard to understand the appeal. Jenkins was a committed patron of the arts, joining numerous social clubs in an arts-related function. She founded her own art appreciation society, the Verdi Club, in 1917. Of course, it is likely that part of the reason behind her devotion to these organizations is that it provided her an ecosystem in which to present herself as a grand diva. Apparently sublimely unaware of her extreme deficiencies as a singer, Jenkins soldiered on. Set during World War II and the final years of her life, the film Florence Foster Jenkins buys utterly into this idea. In the film’s telling, the type of kitsch being perpetrated by Jenkins is not only harmless, it’s downright adorable and deserving of protection. As played by Meryl Streep, Jenkins is a slightly daffy and child-like character who swoons at the very idea of music. She lives in a Manhattan bubble of society teas where the only notion of harsher things comes in the occasional war-screaming headline seen only as a character is flipping past to find a review of her concert. Standing between Jenkins and the real world is her husband St. Clair Bayfield (a deft Hugh Grant). Acting more like a particularly devoted butler, white tails and all, than husband, Bayfield ensures that nobody within earshot of Jenkins lets on to her glass-shattering pitch. He enlists everyone from an initially stunned and disbelieving McMoon (Simon Helberg) to the critics he keeps on the payroll to write glowing notices. One would imagine that a fiction like this would be difficult to maintain. But entourages know that their bank accounts depend on the mark never stepping out of the bubble of praise. As long as Jenkins remains convinced of her talent and generosity, the checks keep coming, as does the ironic applause at her concerts. With evidence like that, it seems safe to assume that Jenkins’s motivation behind these self-funded concerts was not entirely a selfless offering to the Muses. The film would have you believe that she gave a thousand free tickets for her 1944 Carnegie Hall concert to Marines out of a desire to give something back to these servicemen. But the distaste with which the film holds the Marines in once they hear her painful screeching speaks to a discomfiting acceptance of privilege. These soldiers might have risked life and limb for their country, but when a society lady wants to use them as a captive audience, it is somehow incumbent on them to indulge her spoiled-child fantasies. 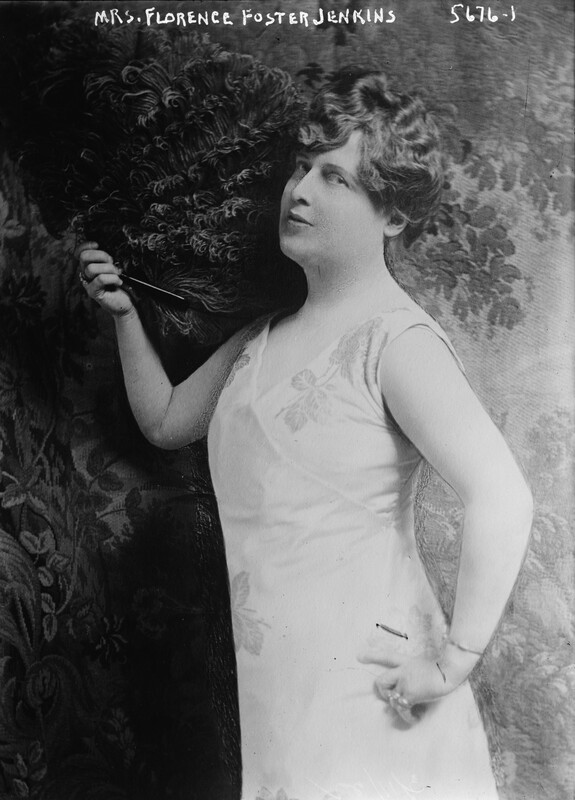 Mrs. Florence Foster Jenkins … can sing anything but notes. ‘Lady Florence,’ or ‘Madame Jenkins,’ as she likes to be called if you are thinking of her as an artiste, indulged last night in one of the weirdest mass jokes New York has ever seen. She gave a quavery recital at Carnegie Hall, on a stage filled with flowers till it resembled an expensive mortuary … She hit only a few notes; the rest were promissory. Is there harm in a film celebrating the grand illusion that Jenkins cast around her singular lack of talent? Is anyone hurt by Jenkins’s foisting of said anti-talent on the world? Likely not. 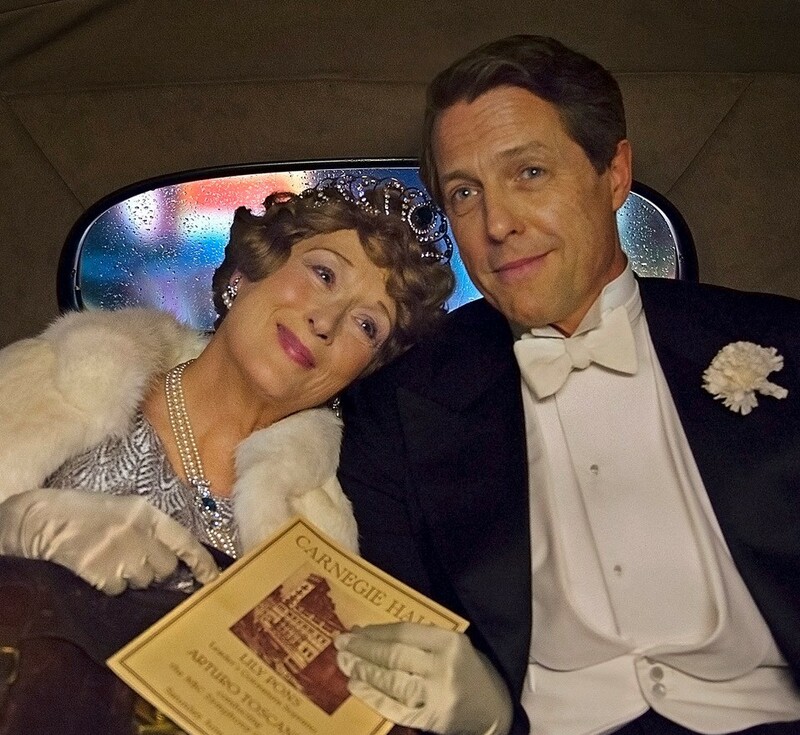 Florence Foster Jenkins is a mild film not looking to make any grand statements. With baggy direction from the usually more reliable Stephen Frears and a gentle and glassy mood of light PBS nostalgia, the film doesn’t aim to be anything more than an unchallenging comic melodrama with pleasingly talented performers. There isn’t anything to denounce here. But at a time of near-record income inequality, when the wealthy increasingly segregate themselves from mainstream society in a gilded ecosystem of their own devising and lash out in tantrums whenever their behavior or the tax schemes that keep them wealthy are questioned, is there anything to celebrate in this kind of fantasy-making?